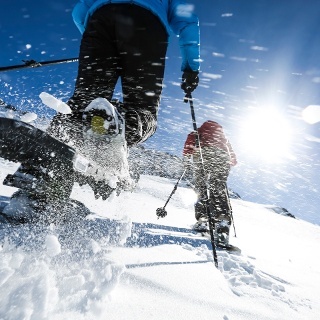 This easy round-trip in direction hamlet Sporz is suitable for snowshoers who have already gained some experience on the terrain. 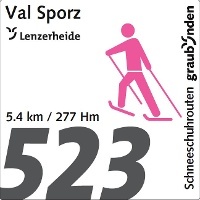 The starting point of the snowshoe tour Val Sporz is the parking Val Sporz. 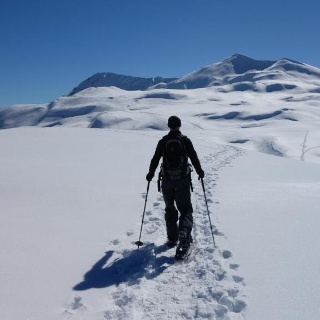 There you will follow the winter hiking trail which leads towards Sporz. After a few hundred meters the trail turns into an open field. On the highest point at the hamlet of Sporz, a somewhat steeper descent awaits. The destination is reached along the edge of the forest. 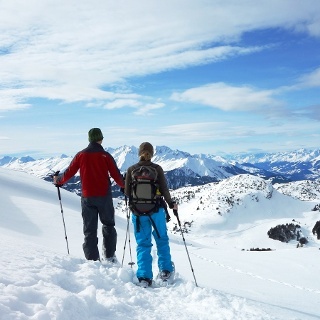 Once a mere pass between Chur and Tiefencastel, the Lenzerheide holiday region high valley is today a popular winter and summer resort on 1‘500 meters asl. Die Anreise mit dem Zug nach Chur, dann steigen Sie direkt auf die Busse von PostautoGraubünden um und gelangen so innert 30 Minuten nach Lenzerheide. Im Dorf steht der kostenlose Sportbus zur Verfügung.